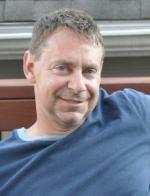 Matthew R. Holl, age 48, passed away suddenly on Monday, September 12, 2016; loving husband of Tanya (nee Vacha); devoted father of Alexa, Karissa and Joshua; beloved son of Roger Holl (Roberta) and JoAnn Bennett (Arthur); dearest brother of Michael J. Holl and brother-in-law of Frederick Vacha (Erin), Michael Vacha and Jeffrey Vacha (Julia); loving uncle of Sydney, Elizabeth, Isabelle, Fred, Michael, Alex, Samu, Will and Andrew. Memorial Mass Tuesday, September 20 at St. Christopher Church, 20141 Detroit Rd., Rocky River, at 11 a.m. Friends received in church from 10-11 a.m. A lunch will be served immediately following Mass in Mary's room at the church. Roger, Bobbie, and Matt's family: I worked at Ford, retiring in 2000, and after all these years AWOL, my heart still broke over the loss of your son, husband, father. Please accept my sincere condolences. I will always have fond memories of Matt from our high school days, road trips out to his Mom Joanne's house, and serving in the US Navy together, conveniently enough, both being stationed at the same Naval Air Station in Va. Beach. Although I have not seen him in what seems to be ages, it doesn't dim the good times we once shared...a good friend and good man he was. To Roger and Bobbi, Joanne, and his beautiful children, Alexa, Karissa, and Joshua and the rest of his family: please accept my genuine condolences. I am shocked and saddened by Matt's passing. I haven't seen Matt in almost 30 years. We served in the Navy together. I remember Matt as one of the nicest, most intelligent and most generous people that I had the pleasure of serving with. I pray that God grants your family peace over the coming weeks and years. God bless you Matt. I still haven't processed the news of the passing of my fellow Combat Veteran and friend Matt. Matt & I served together in Fighter Squadron 103 aboard the Aircraft Carrier USS Saratoga in support of Operation Desert Shield and Desert Storm. Matt served his country with pride. My condolences go out to his family throughout these difficult times. Please except me deepest sympathy in your loss. I served with Matt with Fighter Squadron One Zero Three at Naval Air Station Oceana, VA. Matt was always fun to be around. We did not see each other in many years but we talk thru Facebook often. May the good Lord bless you all and give you strength to get thru this. As we say in the Navy wishing Matt "Fair Winds and Following Seas" I will miss you shipmate and dear friend.